Apparent power is defined as the product of current time voltage passing through an AC circuit. Unit VA is very small for heavy equipment and practically kVA is used instead of VA. 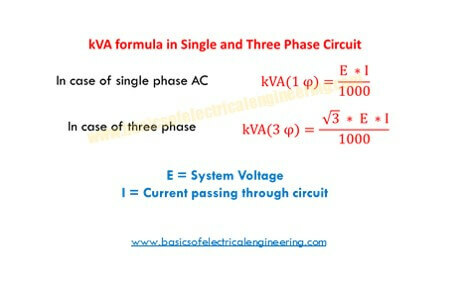 Example 1: Find the apparent power in kVA drawn by a 200 V single phase generator having 2 Amps current passing through it. Example 2: Find the current drawn by 500 kVA transformer @ rated voltage 5 kV.